Well, I Love This Phone. As One Bro Said Earlier, One Can Do Many Things With It. But Sadly Mine Got Stolen From Me At Gun Point. Now I Cant Afford To Buy One. If Anyone Wants To Gift Theirs, Ill Be Happy. An outbreak in technology made by Nokia. you can personalize your 6600 that suits your lifestyle and fashion. From covers to phone programs, games, videos and music that you can install or download to your phone. You can even surf internet. Many professionals specially Businessmen and people who work in office prefer this kind of phone. 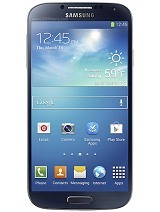 It is a competitive, fashionable and very useful phone that you can use for a long period of time. It's an amazing phone..real strong..the os is a little bit "soft"..it's not that stable .. but if you like symbian .. thne you will now how to keep this phone for a long time ..you can do a lot of things with it .. ;) ..
i like it. my friends say it is a failiure model. i hate this phone cuz of its size, keypad, and wieght. it's very big and thick, hard keypad specially the the joystick navigation, and its very when i am putting this in my pocket i feel its wieght it's annoying! thank God they discontinued this phone! I had buy this Nokia 6600 from an old phone shop in my country. It very old. But the machine is good. U can turn off the multimedia centre from options>other>multimedia in messages...Then the messages will not go!! !I too had the virus!!! I like to much the performance of the phone, therefore i have small problems regarding to Outbox messages, because every time is sending multimedia messages to unknowen phones without my permission, even if my bluetooth is off. Is it a kind of virus? How to block it? Please help me because this situation is making me crazy every day. the best phone ever. at 50 euros ? ?// can u ask for more? aside from nokia6600 i want to try another nokia phone.is there anyone had a great idea what unit is the best for me...i love music and capturing photos...pls help...tnx! i've been using nokia 6600 for less than a year.i always play my mp3 and i have no problem with it.the sound is good.very nice phone...keep it up nokia! Wov Excellent phone. Excellent shape. I like it very much. Cool Phone. But very big in size. If size is somewhat small it will be outstanding.